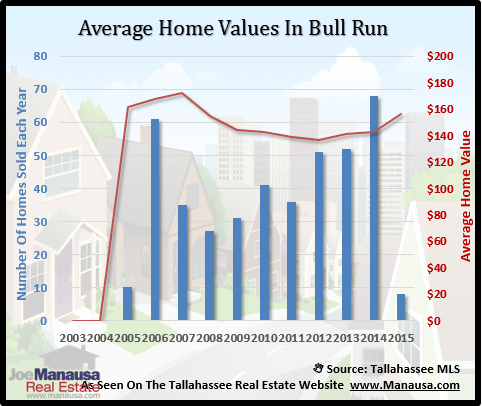 Home sales in Bull Run have nearly fully recovered, but home values and home prices have only bounced up from all time lows. 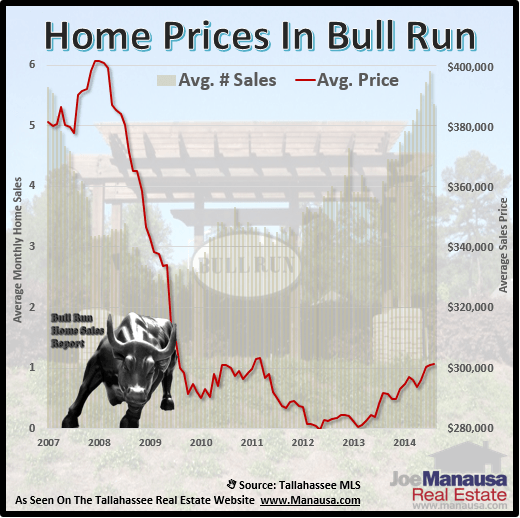 As one of the top selling neighborhoods in Tallahassee (along with Southwood, Killearn Lakes Plantation, and Killearn Estates), we keep a close eye on Bull Run to gain insight on changing trends for the entire Tallahassee real estate market. Additionally, Bull Run is one of the few neighborhoods that has enjoyed robust new construction sales over the past six years. Thus far in 2013, there have been 46 homes sold in Bull Run, with an average sales price of $294,000 and a value of $142 per square foot. That means you are getting a 2,080 square foot home for just over $294K in a highly desirable NE Tallahassee neighborhood. Currently, there are 26 homes for sale in Bull Run, with many of these being new construction homes. Existing homes must be priced well and marketed well in order to pull buyers away from the brand new homes. 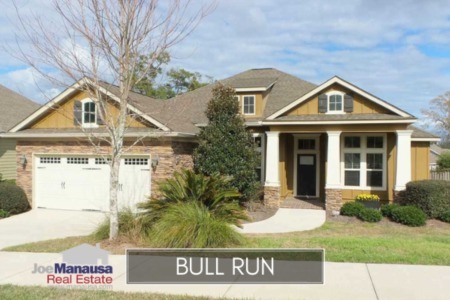 After hitting a market low of just over two home sales per month back in 2006, Bull Run has seen sales rebound to four home sales per month, and the current rate of sales has been slowly growing for the past five years. Home values continue to rise after hitting bottom in November of last year. Distressed properties sales have declined somewhat, but new construction still controls much of the market. Home prices continue to recover from a bottom found in February of this year. 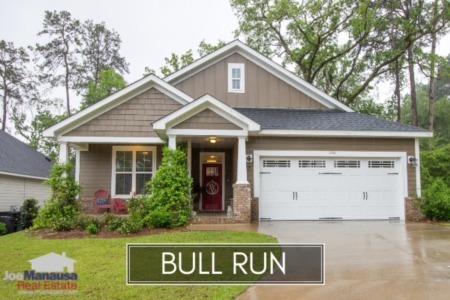 Currently the average arms length sales price of a home in Bull Run is around $299,000, while the distressed homes have sold for an average of $255,000. More importantly, the average newly constructed home is selling at $296K, while existing home sales are selling for $292K. This small premium between new and used homes has allowed new construction to thrive in Bull Run. With the falling number of distressed properties available in Bull Run, their impact on the "average" will be greatly reduced, likely allowing prices to go higher in 2014.